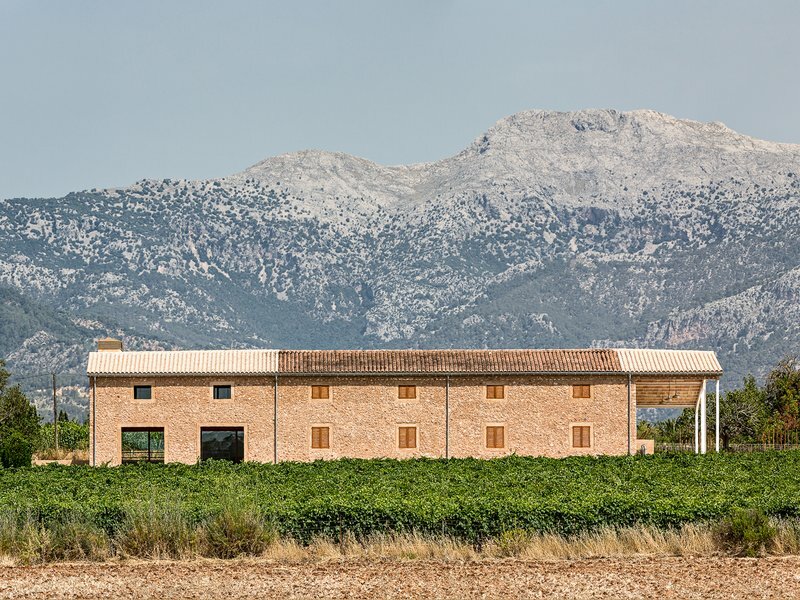 The winery is located in the heart of Mallorca and has been in the family for three generations. 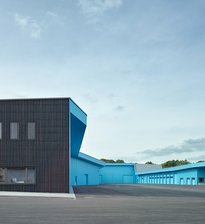 The purpose-built production building served as the cornerstone for an expanded concept. The original structure forms the inner core of a new building, symbolising the changes and growth the winery has experienced. 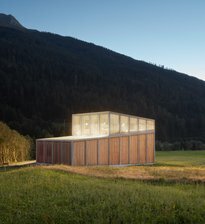 This core has been supplemented with a split-level space accommodating offices, a shop and a tasting room as well as a roofed production and delivery zone. The geometry of the new volume relates to that of the older building. It is only on the entrance side that the building, following the slant of the roof, makes a bowing gesture to welcome visitors. The original steel support structure of the hall was maintained in the extension, now clad in a curtain wall of quarry stone masonry that deliberately references the look of traditional Mallorcan architecture. The colour and material qualities of the quarry stone echo those of the ground where the vines are growing, melding the winery with its surroundings. Inside, the steel structure remains visible and is carried forward as constructive element. The stones and earth of the surroundings likewise remain visible in the interior in the special design of the vaulted ceiling.